Every girl wishes to celebrate their debut, a coming-of-age celebration, with as much flair as possible. This presents challenges for young ladies whose birthday falls within the busy holiday season. With several other celebrations taking place, finding a venue for debut parties can be rather difficult. Luckily, there are event venues that are relatively off the radar. They’re classy, stylish, and affordable, so you’re sure to find one that’s to your liking. Here’s a list of events venue to get your party planning off to a great start. An architectural marvel graces the Acacia Estates in Taguig. Modeled after the ancestral home of the Tuasons, Casa Real is quite a spectacle on Sociego Street in Manila. Combining architectural elements with Filipino, Spanish, American, and Chinese influences, the structure’s facade looks stunning and majestic. Reminiscent of the 1930s, this event venue will give your guests a healthy dose of nostalgia. The Cuadrilla Hall on the second floor can accommodate up to 90 people. On the upper ground floor is an elegant hall that can hold a party of up to 130 guests. Casa Real is ideal for debut parties with posh themes. Its interiors boast understated elegance and is the perfect backdrop for debut parties with upscale themes like old Hollywood glam, masquerade ball, and The Great Gatsby. This debut venue also offers a great backdrop for pictorials. Beyond the stunning structure of Casa Real, the surrounding tropical resort-inspired condo communities in Acacia Estates offer countless backdrops for photo shoots. Casa Real is also a great venue in terms of accessibility. Guests can easily reach your party via public and private transportation. The venue is only 20 minutes from NAIA and 10 minutes from BGC and Ayala Avenue. Your guests from out of town can rent a unit in any of the DMCI condo units in Acacia Estates, which is a 150-hectare residential community that comprises several resort-type condominium properties. Feel on top of the world by hosting your debut party at the Iris Observatory. Situated on the roof deck of Tivoli Garden Residences in Mandaluyong, this event venue lets you have a party under the sky. It’s the perfect place to have a modern, laidback party with the latest chart-topping hits playing in the background. Prepare some cocktails and hor d’oeuvres, and invite up to 60 of the most special people in your life. The Iris Observatory offers an unobstructed view of the Ortigas and Makati skyline. The landscaped roof deck ensures that your guests feel comfortable as they bask under the glow of the night skies. The venue has spacious indoor and outdoor areas, floor-to-ceiling glass walls, walkways, landscaped promenade, seating areas, and observation decks. You and your guests can get an even better view of the nighttime sights in the metro with binoculars offered at the venue. Starry night themes and celestial motifs are quite trendy. You can get in on the trend as well. But unlike other party hosts who have to use LED lights and blue decors to give the venue a starry feel, you get to have the actual majestic sky as your backdrop. Get creative with your debut theme. You can have a Sakura night, fairytale fantasy theme or a Breakfast at Tiffany’s motif. Whatever theme you choose, make sure you choose an event venue that offers a wide space to play around with. And of course, what’s a debut party without a dance floor where guests can let loose? The Heliconia Function Room offers just the space you need for a party that’s off the hook. This event venue boasts a massive floor area that can accommodate up to 100 people. You can freely arrange tables around a designated dance floor. The Heliconia Function Room is designed to host a variety of social events and is very flexible. It’s practically a blank canvass. Party hosts get to design the place to their heart’s desire. 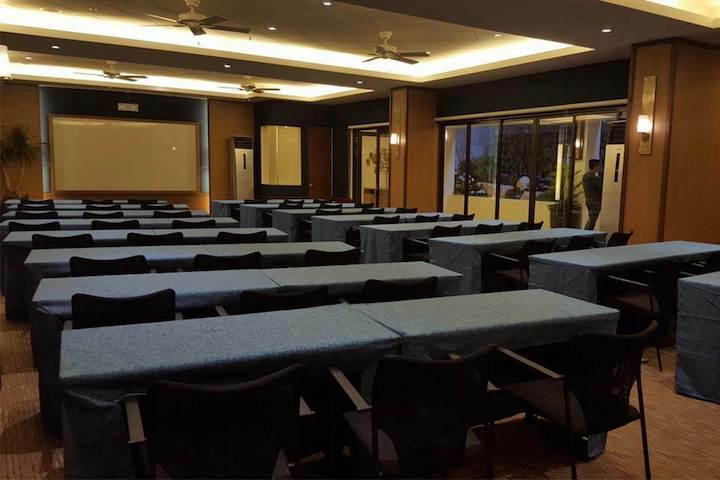 Located on the boundary of Makati and Mandaluyong, the Heliconia Function Room in Tivoli Garden Residences is accessible. It’s located only 15 minutes from Makati CBD, and there are several accessible public transportation options, including tricycles, jeepneys, and taxi cabs. The more accessible your event venue is, the more likely your guests are actually going to show up. And unlike many party venues in the metro, the Heliconia offers ample parking slots that are guaranteed safe and secure. This will spare your guests the stress of searching for available parking space. Are you planning a massive party with hundreds of guests? The Tent in Taguig is just what you’re looking for. This event venue can accommodate up to 1,000 people. 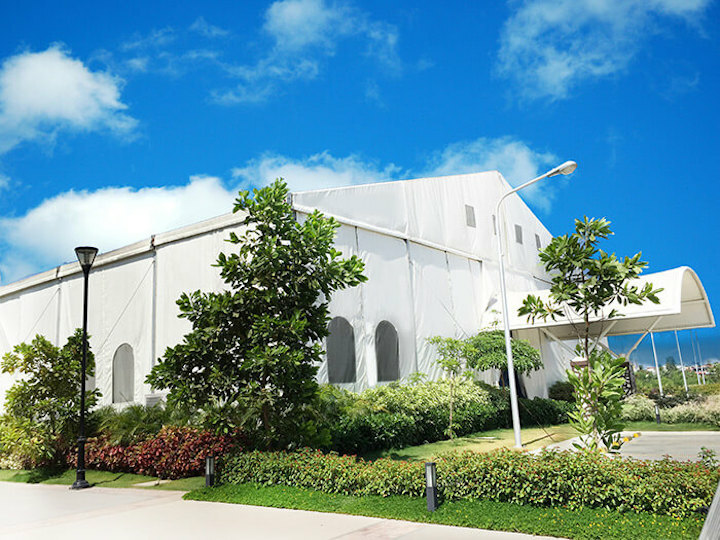 The Tent has three halls at 891 sqm., 1018 sqm., and 1909 sqm., respectively. You may rent a single hall or the whole place, depending on your needs. The massive space allows for more freedom in terms of design and themes. Want to hold a Hunger Games theme? A red carpet debut, perhaps? How about a circus extravaganza? Whatever it is that you fancy, you can make it happen at The Tent. Each hall has all the essential features, including clean comfort rooms, house lights, and air-conditioning system. Maintenance and electrical services are also included in the rates. The Tent offers an outdoorsy feel with the convenience of the air-conditioned indoors. Located at Acacia Estates in Taguig, an area that is right at the heart of the metro, this event venue also boasts accessibility. This ensures that your guests will make it to your party without a hitch. If you feel your guests don’t mind taking the distance to join you on your special day, why not book a destination party? You can have the best of both worlds by choosing an event venue that is located in an area that is touristy but is also fairly accessible. Why not hold your debut party in the City of Pines? 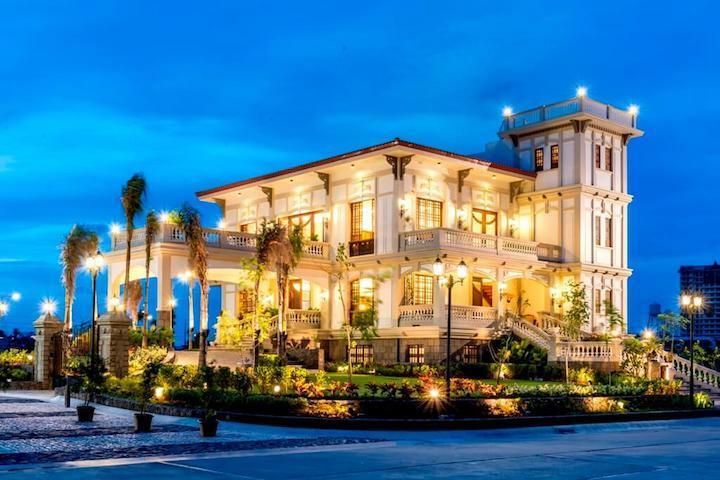 You can hold your debut party at the handsomely-designed Banawe Hall at Outlook Ridge Residences in Baguio City. The place, which accommodates up to 70 people, is perfect for an intimate party. It’s a great venue for literary or travel-inspired themes. Allow your imagination to take you places. Baguio is a destination that offers an atmosphere that is different from what you usually experience in the city. The weather is colder, the scenery greener, and the terrain more hilly. It offers novelty, but won’t require costly travel. Located a few hours from the city and with several public transportation options readily available, reaching the destination will not be a problem for your guests. They can also easily book units at the Outlook Ridge Residences for a comfortable overnight stay. This list should facilitate your search for affordable debut packages with venues. Your 18th birthday party will be your best celebration yet. Enjoy this wondrous milestone!